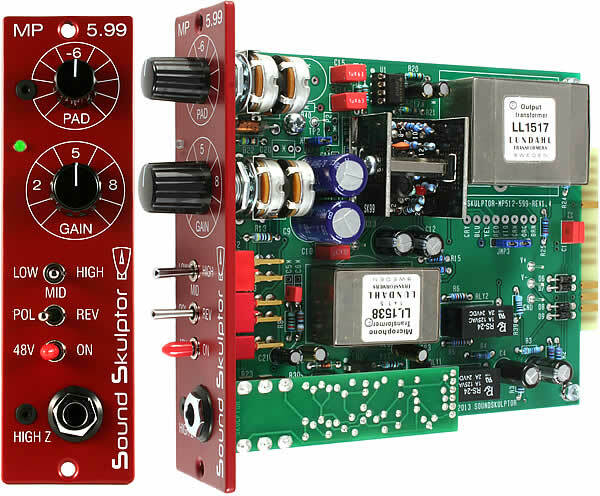 The Sound Skulptor MP5.99 is a 500-series microphone preamp kit designed to incorporate subtle transformer coloration and excellent signal transparency. It is offered pre-assembled or as a DIY kit. Added by Joshua Unitt on April 22, 2013 and last modified by Peterson Goodwyn on January 12, 2015.